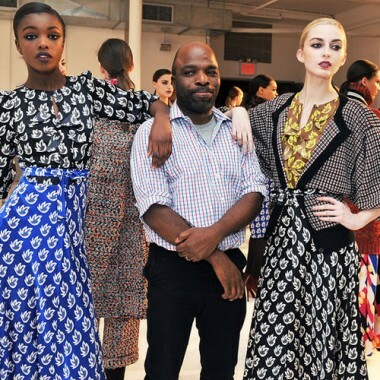 African Fashion Designer Goes From High End to Everyone…. 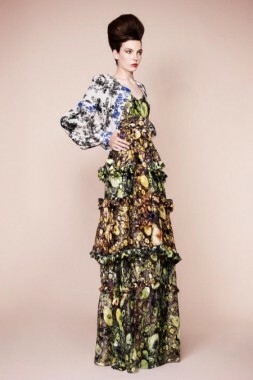 London based and noted Nigerian Fashion Designer; Duro Olowu has dressed individuals at statures, such as Michelle Obama. He is also accustomed to his bold and eclectic clothes being available for purchase at stores like Barneys New York. However, now his captivating African prints, with a 70s flare, will premiere at JC Penney in Spring 2013. YES! …That’s right Folks! Olowu’s Spring 2013 collection, which will include women’s accessories, apparel and home goods, will be in stores for sale from March to May next year. The prices will range from $10 to $100 and can be found online as well as at JC Penney. So if you like your clothes to fashionably “say it loud and say it proud”, you are probably waiting anxiously for this collection to reach a JC Penney near you. I know I am! This captures the transition of the season Oh So Well!….